2. 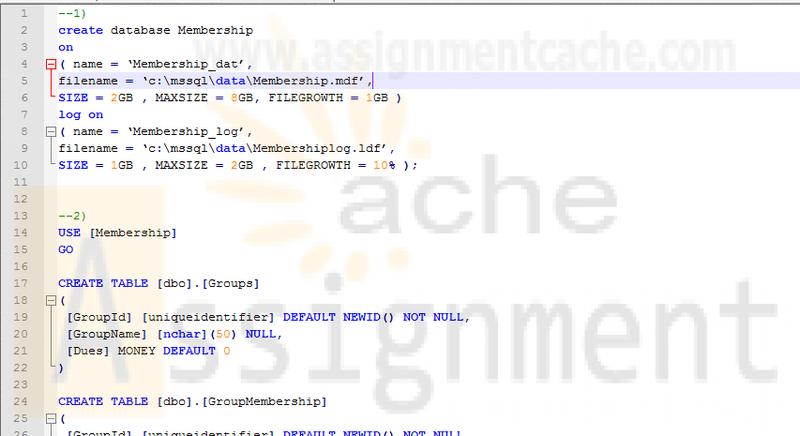 Write the CREATE TABLE statements needed to implement the following design in the Membership database. Include reference constraints. Define IndividualID and GroupID with the IDENTITY keyword. Decide which columns should allow null values, if any, and explain your decisions. Define the Dues column with a default of zero and a check constraint to allow only positive values. 3. Write the CREATE INDEX statements to create a clustered index on the GroupID column and a nonclustered index on the IndividualID column of the GroupMembership table. 4. Write an ALTER TABLE statement that adds a new column, DuesPaid, to the Individuals table. Use the bit data type, disallow null values, and assign a default Boolean value of False. 5. Write an ALTER TABLE statement that adds two new check constraints to the Invoices table of the AP database. The first should allow (1) PaymentDate to be null only if PaymentTotal is zero and (2) PaymentDate to be not null only if PaymentTotal is greater than zero. The second constraint should prevent the sum of PaymentTotal and CreditTotal from being greater than InvoiceTotal. 6. Delete the GroupMembership table from the Membership database. 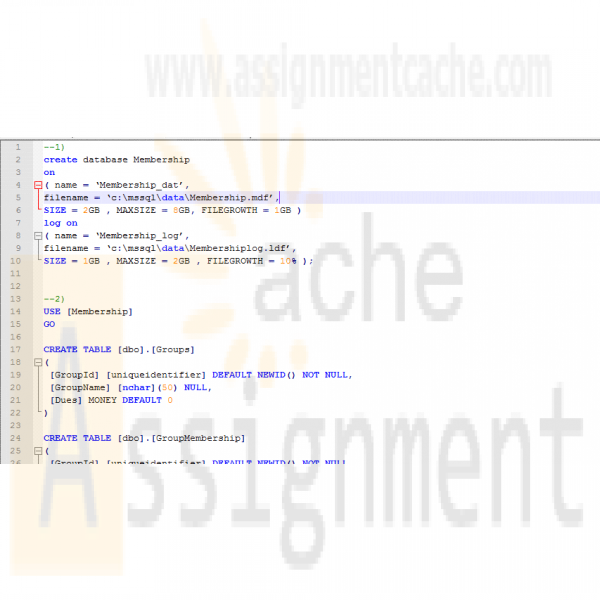 Then write a CREATE TABLE statement that recreates the table, this time with a unique constraint that prevents an individual from being a member in the same group twice.